Russian Foreign Minister Sergei Lavrov has commented on the situation regarding the investigation of chemical attacks in Syria, relations with Mexico, as well as answered some questions on the upcoming 2018 FIFA World Cup and the Paris climate deal. The United States blocking the draft UN Security Council resolution introduced by Bolivia on the renewal of the UN-OPCW Joint Investigative Mechanism (JIM) mandate shows that Washington does not want this mechanism to be "honest, understandable and effective," Russian Foreign Minister Lavrov stated. According to the minister, the draft had all the necessary amendments that should be introduced to the mechanism’s work "to make it truly unbiased and honest." Lavrov also called US Ambassador to the UN Nikki Haley's claims that she failed to reach Russian Ambassador Vasily Nebenzya in order to coordinate a joint text of the resolution a "blatant lie." In fact, Russia made clear its point of view concerning the need to reform the investigative mechanism; however, the US only pretended to take Russia's remarks into account, according to the foreign minister. The statement comes after Russia vetoed the US draft resolution that sought to prolong the mandate of the fact-finding mission examining the use of chemical weapons in Syria. Its own draft, put on vote and co-sponsored by China and Bolivia, fell short of the required number of votes at the UN Security Council. 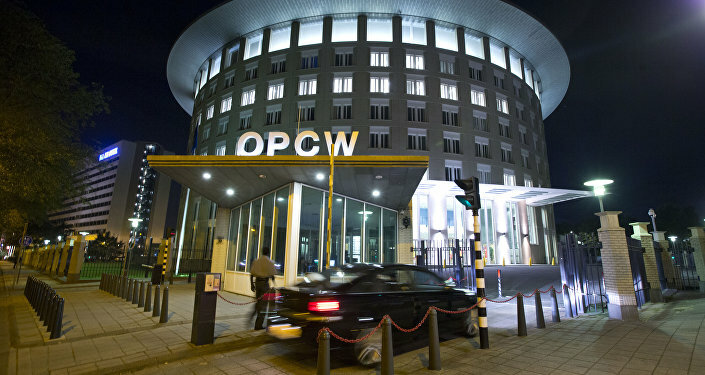 The investigative mechanism was established by the UN and the Organisation for the Prohibition of Chemical Weapons (OPCW) in 2015 to determine who is to blame for the chemical attacks in Syria, with JIM's mandate expiring on November 17. The United States and Russia had earlier presented two different versions of the renewal, both proposals suggesting an extension of the mission, but on different terms. On October 26, the JIM released a report on chemical attack against Syria's Khan Sheikhoun in April that claimed lives of around 100 people, in which it blamed Damascus for the incident. The Syrian government has refuted the allegations, while the Russian Foreign Ministry stated that the opinions of Russian experts were not taken into consideration during the investigation, though "they are indeed objective, because, unlike the JIM report, they are based on laws of physics, ballistics and technical analysis." According to the foreign minister, Mexico is one of Russia's traditional partners among the Latin American and Caribbean countries, and Moscow is interested in further strengthening bilateral cooperation. In particular, Lavrov stressed prospects for cooperation in aviation, energy and shipbuilding, as a Russian-Mexican joint commission on economic, trade, science and technology cooperation, as well as sea navigation, would contribute significantly to unleashing the potential of bilateral trade and investment ties. The minister stated that the work being done on the long-term program of trade and economics, as well as science and technical cooperation between the countries, is already underway. The draft agreement is currently being considered by the Mexican side, Lavrov noted, also expressing hope that the deal will be inked in the near future. According to Lavrov, the conclusion of a Russian-Mexican visa-free agreement would also contribute to improvements in the bilateral ties between the countries. Moreover, Moscow is interested in Mexican organizations actively participating in various Russian forums, including the St. Petersburg International Economic Forum, the Eastern Economic Forum in Vladivostok, the International Forum of Technological Development in Novosibirsk, the Innoprom forum in Yekaterinburg and the Russian Energy Week, the foreign minister said. Lavrov also expressed hope that relations between Mexico and Russia will further develop based on equality, mutual benefit and interest, regardless of the state of relations both countries have with the United States. Later in the day, Lavrov is scheduled to hold talks with his Mexican counterpart Luis Videgaray Caso, who is currently in Russia on a two-day official visit. According to Lavrov, ensuring the safety of football fans that come to Russia for international sports event is a high priority issue for Moscow. In order to reduce the risk of football hooliganism during the 2018 FIFA World Cup in Russia, Moscow is engaged in close contact with its foreign partners including under the Council of Europe Convention on an Integrated Safety, Security and Service Approach at Football Matches and Other Sports Events, Russian foreign minister said. The top Russian diplomat also congratulated the Mexican national team on its successful performance during the 2018 FIFA World Cup qualifier and expressed confidence that the football team would play an "interesting and fascinating" game in Russia in 2018. 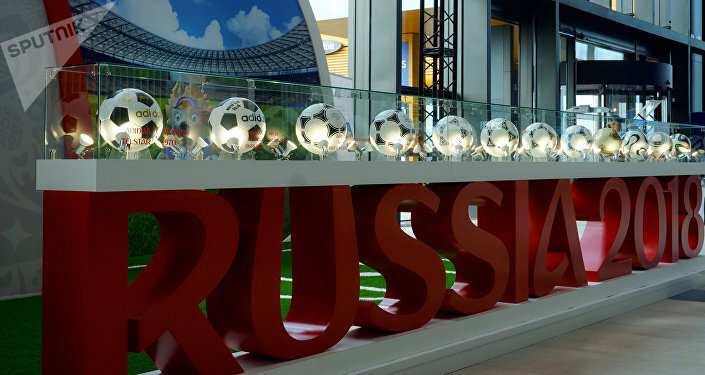 Russia will host its first FIFA World Cup match between June 14-July 15, 2018. The games will take place in Moscow, St. Petersburg, Kaliningrad, Volgograd, Kazan, Nizhny Novgorod, Samara, Saransk, Rostov-on-Don, Yekaterinburg and Sochi. The Mexican national team is one of the 32 teams that have qualified for the sports event. Answering the question why Moscow is dragging out the ratification process of the Paris Agreement, aimed at tackling global climate change, Sergei Lavrov pointed out that "Russia is not postponing, or protracting the process of the Paris deal ratification." According to the minister, Russia considers this document a reliable basis for the long-term settlement of the climate change issue. Earlier this week, Russian Special Presidential Representative on Climate Issues Alexander Bedritsky told Sputnik on the sidelines of the ‎ongoing UN Climate Change Conference (COP23) that Russia had already started to take measures in order to minimize the industrial impact on the environment and to combat climate change while undergoing the process of ratifying the Paris climate agreement. The Paris agreement has been a highly debated issue, as in June US President Donald Trump announced his decision to withdraw from the Paris agreement making the US the only country to pull out of the accord. 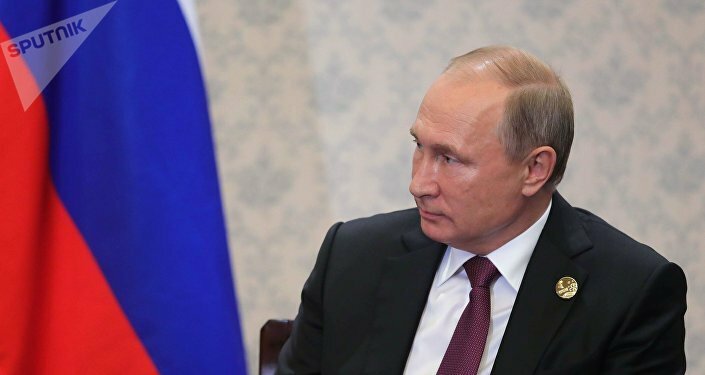 Russia signed the deal in April 2016, however, Moscow has not yet ratified the agreement. The Paris agreement has been created within the UN Framework Convention on Climate Change and has been ratified by 170 countries. The agreement was entered into force in November 2016 and is aimed at keeping the increase in average global temperature at below 2 degrees Celsius above pre-industrial levels by means of reducing greenhouse gas emissions.